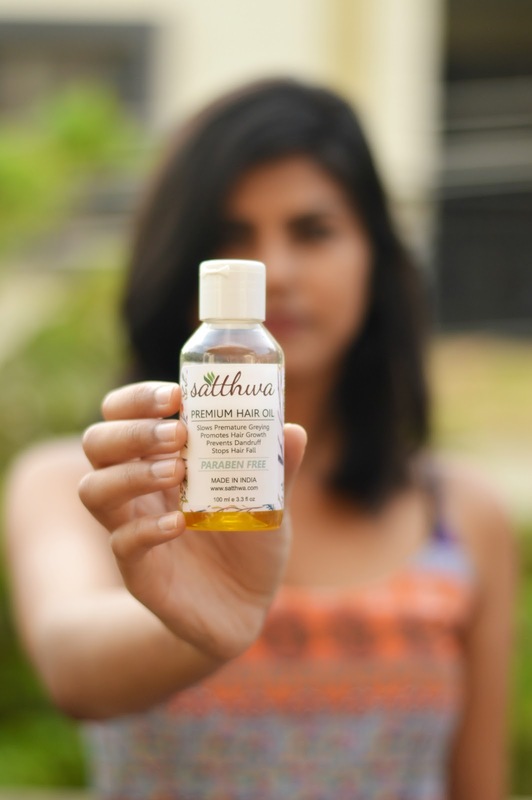 Today's post is a product review of Satthwa's premium hair oil. I received this hair oil a little over a month back and I have been using it regularly to test if it actually works. 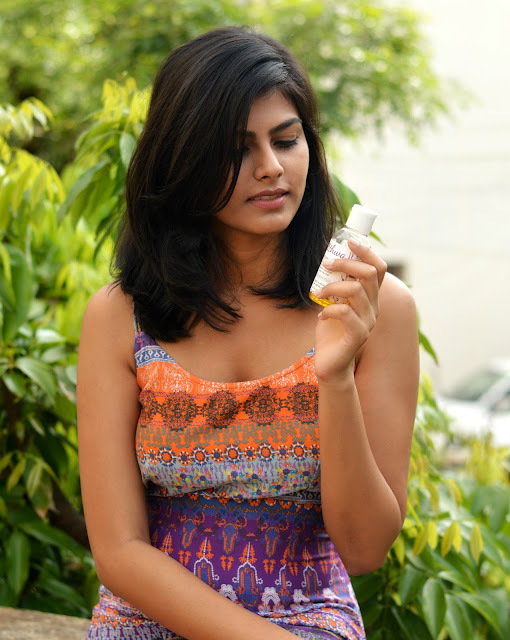 The first thing that caught my eye about this hair oil is that it is paraben free. Satthwa means 'pure' in Sanskrit and they have definitely lived up to their name. It is always great to use natural chemical free products because they usually never have any side effects. The oil claims to slow premature greying, promote hair growth, prevent dandruff and stop hair fall. Honestly, I don't have any major hair problems because I am too particular about my hair care routine but my hair falls a lot after summer and if I neglect my hair even for a few days it tends to get frizzy and lose it's shine. 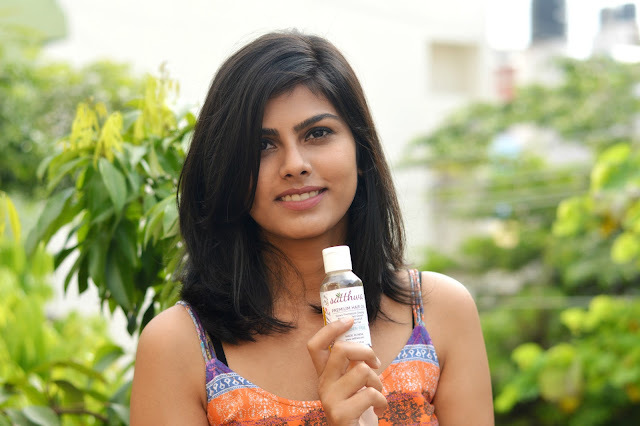 I was hoping that this oil will help improve the texture of my hair and also curb the hair fall problem and to my surprise it worked really well! There were visible results approximately 2-3 weeks from the day I incorporated this oil in my hair care routine. I used this oil before every hair wash which is every alternate day. I generally use a mix of coconut oil and olive oil on my hair so when I saw those two oils on the list I was quite sure that this product would work well. The oil worked really well for me and I saw quick results. My hair almost stopped falling and the texture has improved considerably. I would suggest you to use this regularly for best results. It is paraben free which is an added advantage. Since it is 100% natural there shouldn't be any adverse effects upon usage so it's one oil fit for all. It is a single solution to all hair problems. Also it is quite inexpensive (100 ml for Rs 599). I must say that I am very impressed and would definitely repurchase this! Thanks for this wonderful recommendation and review, I'm always looking for hair products that are organic and this one sounds great. Will definitely give it a try myself!